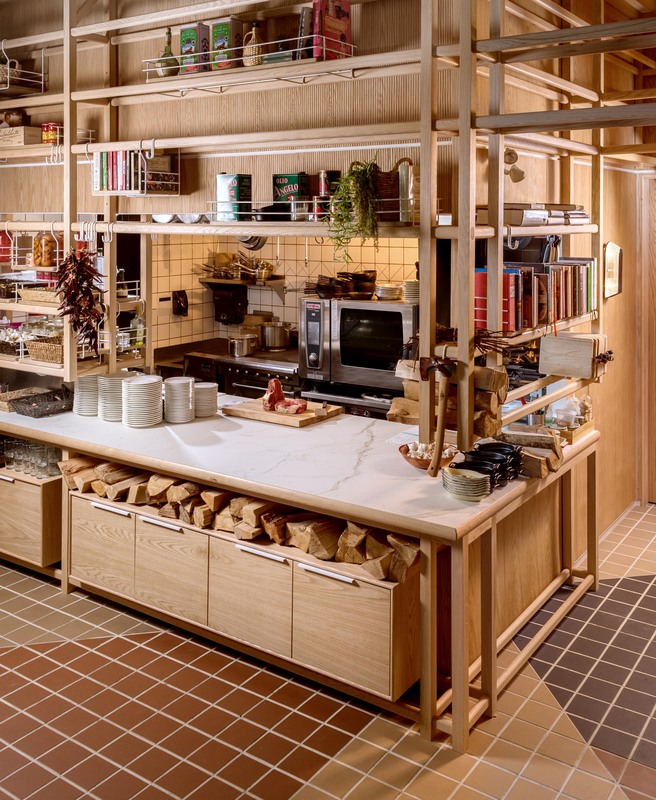 Clever design and handmade pasta in an elevated neighbourhood tavern. 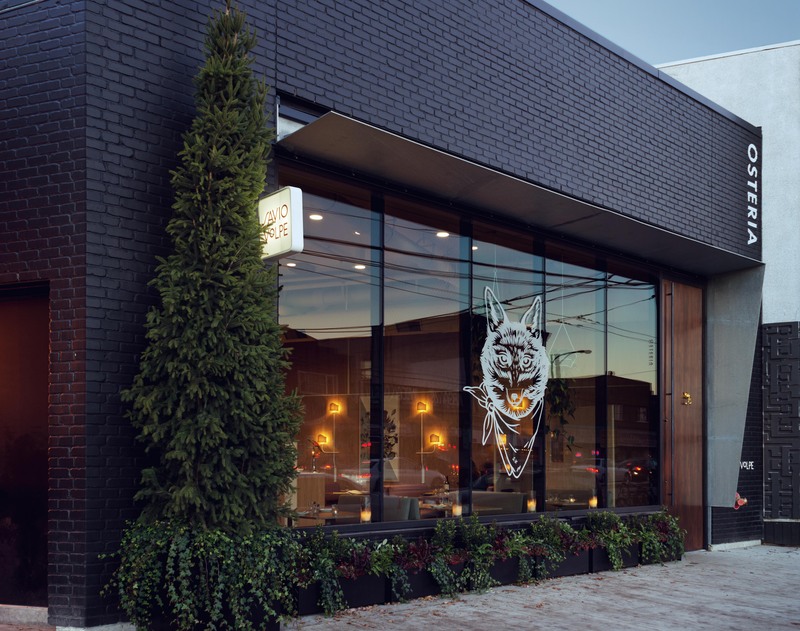 Vancouver’s new Osteria Savio Volpe (“Tavern of the Clever Fox”) offers a fresh take on Italian taverna-style dining, courtesy of restaurateur Paul Grunberg, chef Mark Perrier, and designer Craig Stanghetta. 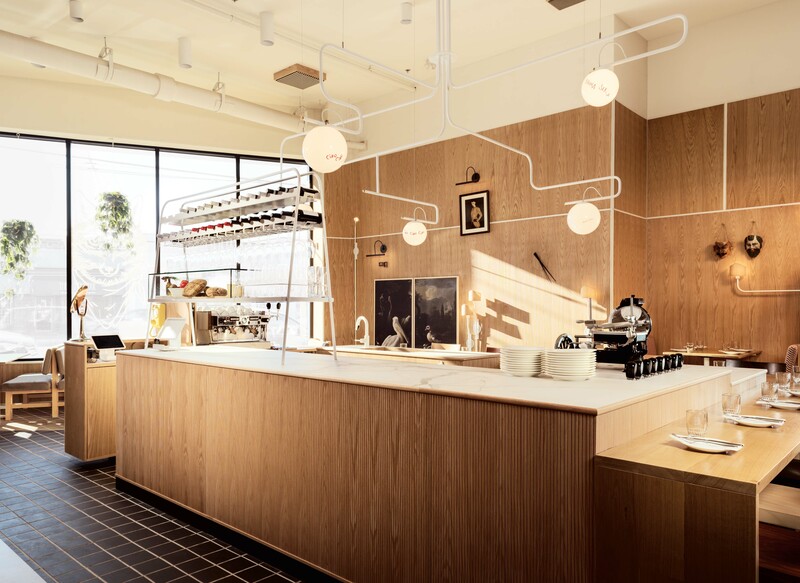 Principal of Ste Marie design studio, Stanghetta’s vision has informed many of Vancouver’s most charming restaurants (Ask for Luigi, Homer St. Café, and Bao Bei are a few examples). His goal in designing the 75-seat Osteria Savio Volpe was to encourage a jovial, sizzling-meat-and-crackling-fire sort of atmosphere. “What I said to the team while I was designing was to envision a tavern the characters of Lord of the Rings would go into. It would be dark and stormy out but they’d all be kind of cozy and warm and relaxed inside,” he explains. “There’s a conventional standard of what it means to have ‘cool design’ and I always want to work outside of that.” Indeed, this is not a place for succulents and minimalism; rather, warmly sophisticated yet somewhat idiosyncratic touches set the mood: paper-thin wood shades over ambient lighting, hounds-tooth check banquettes, and an open bookshelf through which diners may watch chefs rotate meat on spits over a wood-fire stove. The only design element more broadly “trendy” is the logo, depicting a fox, the animal du jour, it seems. “We poured over all this Italian folklore, and the character of the fox, we felt, was kind of cheeky and inviting, especially to kids; we do want this to be a place people come with their families,” Stanghetta explains. 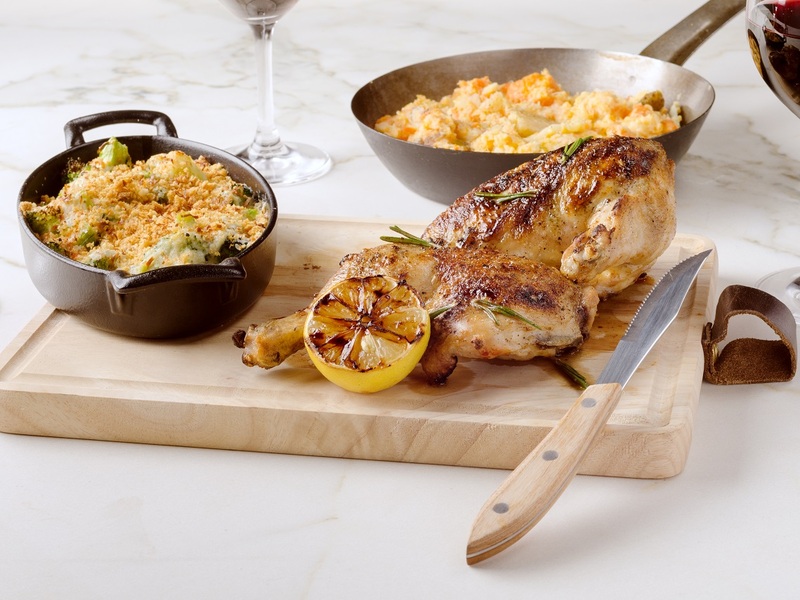 Chef Perrier’s credentials include a time at Vancouver’s Cibo Trattoria and stint at London’s two-Michelin starred Le Gavroche, yet he is in his element creating rustic dishes with ingredients like handmade pasta, whole grilled fish, roast rabbit and chicken, and offal (“You never see tripe on the menu anywhere else,” smirks Grunberg, “because we’re the only ones who do it right”). 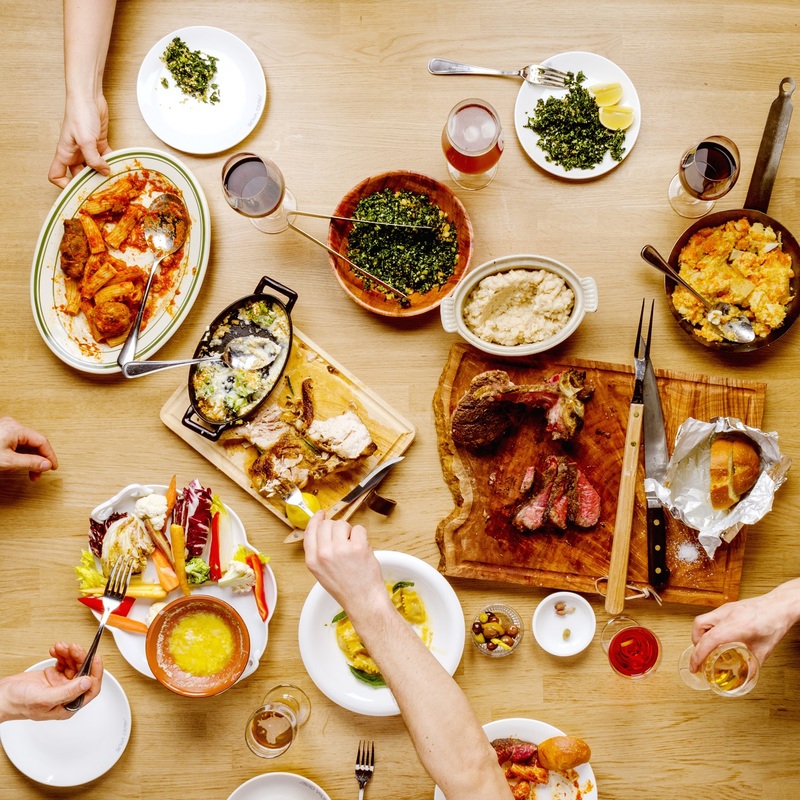 Indeed, a dish of tripe in tomato sauce is mild and tasty, while rotisserie pork is impossibly juicy, and small-portion pastas leave you wanting more (one only wonders how many back-up nonnas will be required to fulfill the demand for hand-rolled penne). Imported burrata is served simply with prosciutto, grass-green Domenica Fiore olive oil, and artichoke hearts with a bit of bite to them. A side of broccoli and cauliflower gratin appeared, instead, as a creamy dish of caramelized fennel, but was far too delicious to offend. Cannoli for dessert could have done with less whipping cream mixed into the ricotta. The inviting sunken bar, situated in the centre of the room, serves only two cocktails: a Negroni and an Aperol spritz—it’s succinct, and frankly refreshing. Nicely flavoured house-made sodas are a treat (try the mint and turmeric) and the all-Italian wine list, curated by Amorita Adair (formerly of Bufala) is excellent, featuring a deliciously earthy Colmone Della Marca Il Ciarliero Vernaccia Nera red sparkling. 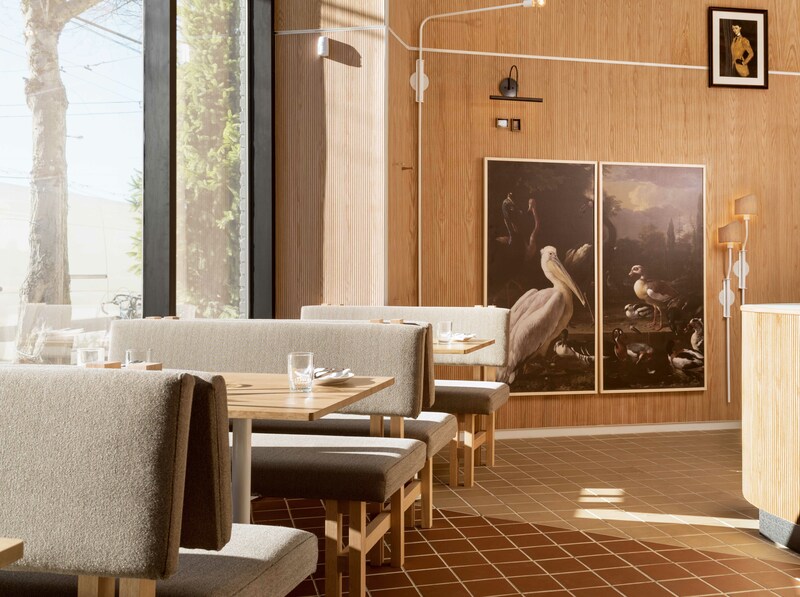 Rustic and sophisticated with a powerful team behind it, one imagines Osteria Savio Volpe will be the toast of the neighbourhood for a very long time.